I just wanted to say thanks for such an awesome product! 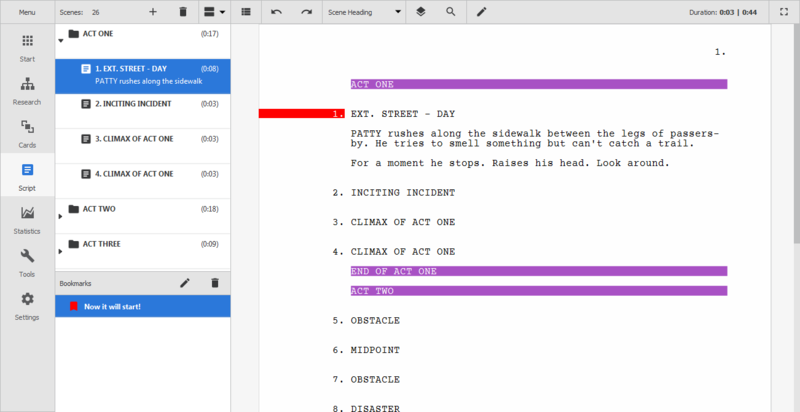 I've been using KIT Scenarist for the last few months and love it. I even bought the app! 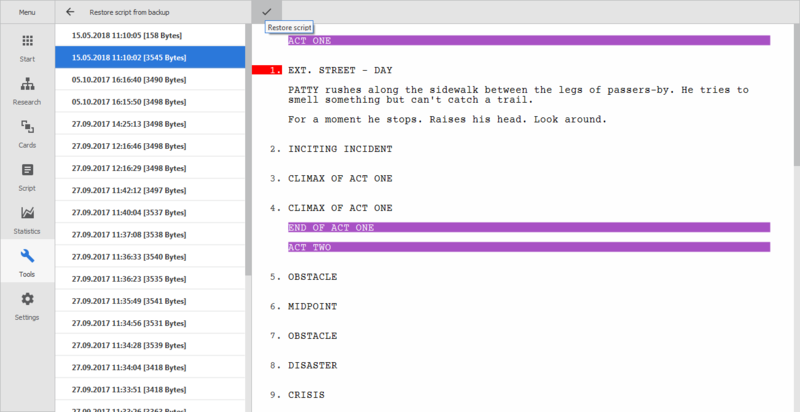 It's truly the best free script writing software I've used. I spent the last half of last year trying other options, and they were all pretty disappointing in some form... but not your software. Really love it, and have been using it since. Hopefully now I can write something worth watching, lol. Kaiborg, thanks, man! I'm glad to know it and wish you good luck with your scripts! Hey guys! How do you think what are the most critical features which KIT Scenarist missed? I want to rebuild our roadmap and want to know what users think about it. - after that, you can return to work with the restored text of the script. Also in this update were added bookmarks. You can add or remove a bookmark via the context menu in any paragraph of the text, and open the bookmarks browser through the menu for activating additional panels in the navigator. - translations of the program into Turkish and Hungarian are added. Thank you. Love the added ability to color-code things. This is really a top-notch software that you've created. so far very impressed, design and features already nice. great job, will recommend . Last edited by Trilec; 06-30-2018 at 06:19 AM. Trilec, thanks for your suggestions. What about grouping characters - planned to implement in 0.7.3. Adding support for multiscript projects planned in 0.8.0! And what about preview images - I will need to think about this, looks a bit small to get actual information, I think colors can be the better alternative.